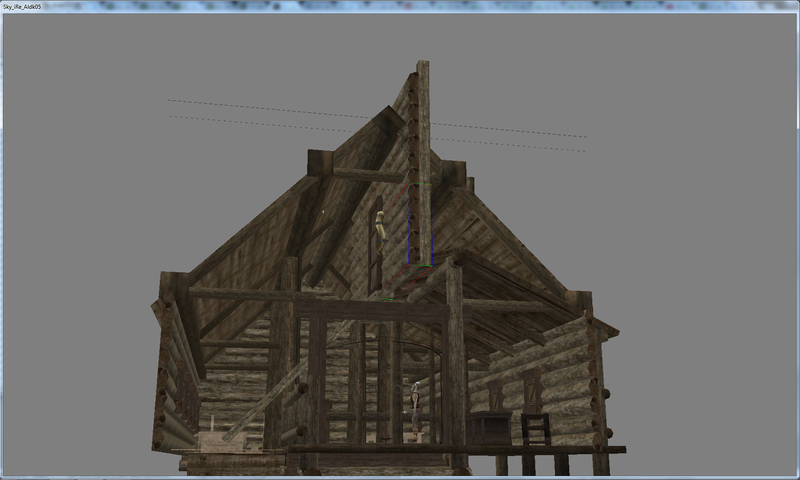 A barracks at a border with Hammerfell. 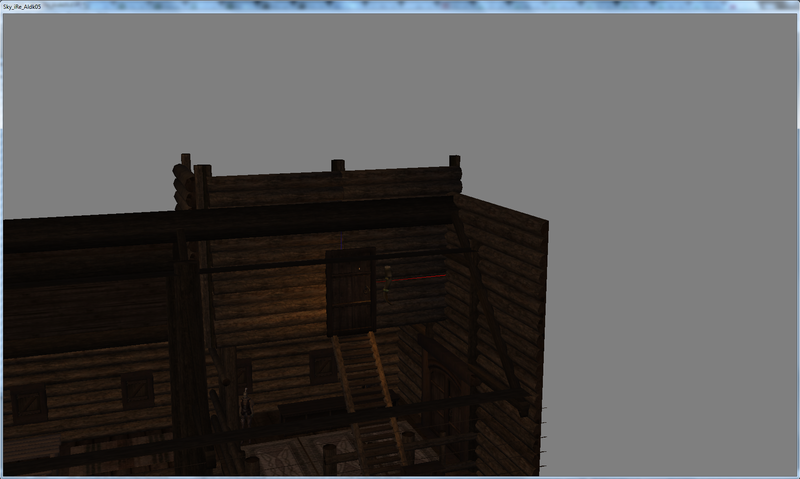 The exterior is included in the Skyrim_Main - file (-108, 3). Itching to claim this, but I have my hands full with Markarth and the remaining Karthwasten files. Instead I'll post my thoughts on this ... for now. 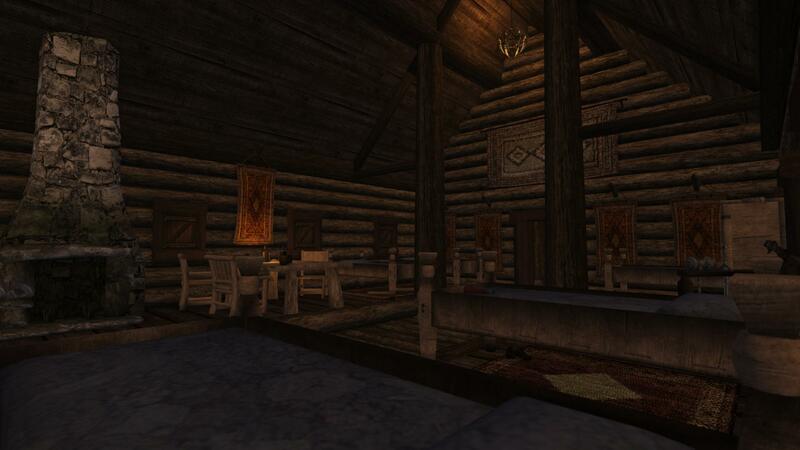 I think this should have a small C&E office as it is probably one of the main routes between NE Hammerfell and Skyrim. Nothing fancy. It would also make sense if there was room for a small tradehouse-type room with a bar and a few travellers hanging out. No need for rentable beds, but wouldn't hurt either. The barracks should be in the back of the building and take up roughly 60% of the room. Basic layout done. 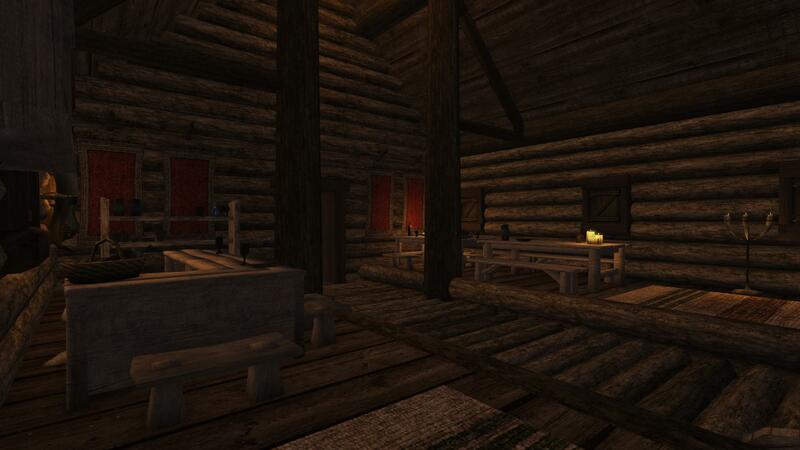 I made a little C&E customs area, then added a small meal area and in the back room for the guards to sleep. I must say, the new data file is a joy to work with. I was worried everything would be a PITA to find, very impressed that it's so easy -- which I guess was the whole aim! Nice stuff. Luxray wrote: I must say, the new data file is a joy to work with. I was worried everything would be a PITA to find, very impressed that it's so easy -- which I guess was the whole aim! Nice stuff. I agree, it's plain great. Take a look how rock meshes are organised now, if you haven't already. No more "wait a minute, I think rock_120 was a flat one, and that vanilla spikey was somewhere around rock_30"
Finished. I couldn't make a storage look good berry, but I appreciate the suggestion. I did box it off to hide the roof. Hopefully that is sufficient. I didn't really mind it either way. In Sky_Main. Should be moved to completed.